Best-selling author Andy Kessler ties up the loose ends from his provocative book, Running Money, with this history of breakthrough technology and the markets that funded them. Expanding on themes first raised in his tour de force, Running Money, Andy Kessler unpacks the entire history of Silicon Valley and Wall Street, from the Industrial Revolution to computers, communications, money, gold and stock markets. These stories cut (by an unscrupulous editor) from the original manuscript were intended as a primer on the ways in which new technologies develop from unprofitable curiosities to essential investments. 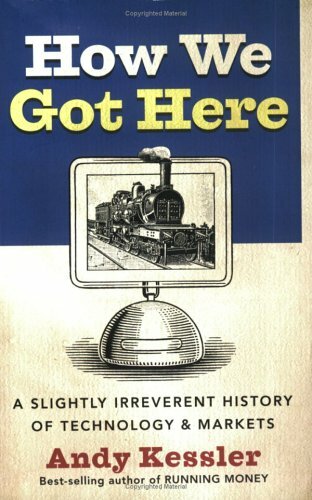 Indeed, How We Got Here is the book Kessler wishes someone had handed him on his first day as a freshman engineering student at Cornell or on the day he started on Wall Street. This book connects the dots through history to how we got to where we are today.